Sir William Balfour, Lieutenant of the Tower Oct 1630 - Dec 1641, in armour and on horseback. 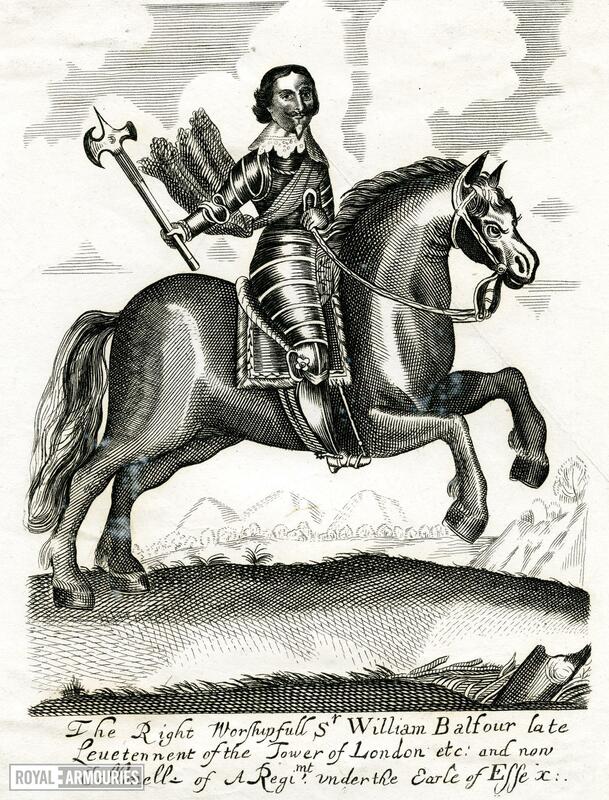 Probably an early 19th century print of a 1640s woodcut engraving. Text describes him as 'late Lieutenant of the Tower .. and now Colonel of a Regiment under the Earl of Essex'.